In her latest Insights article, Kara Gansmann explains how a Geriatric Care Manager can assist families of seniors as they plan for health care and living accommodations. “As Options for Senior Housing Increase to Meet Seniors’ Needs, Rely on a Geriatric Care Manager,” reviews the role that a Geriatric Care Manager plays in providing assistance and guidance for families of senior citizens. 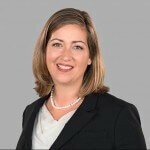 Kara is an elder law attorney in the Wilmington office of Cranfill Sumner & Hartzog LLP. The article available at the Insights page.